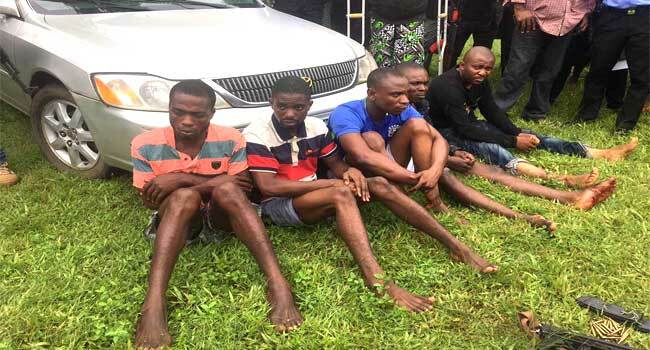 The Imo State Police Command has paraded five suspects in connection with the murder of Reverend Father Cyriacus Onunmwo. This comes 24 hours after the state governor, Rochas Okorocha, confirmed the arrest of two suspects in connection with the murder. 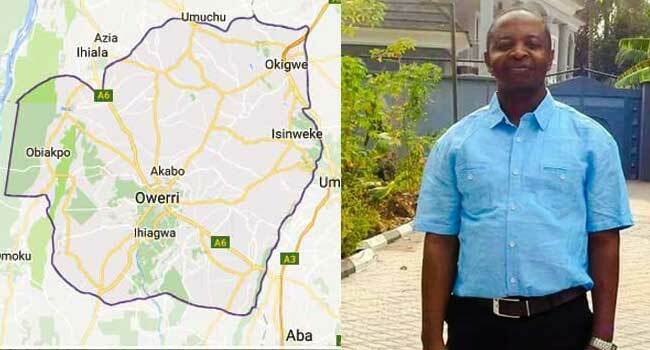 Onunkwo was murdered after he was reportedly snatched from his vehicle by gunmen on Friday last week in Orlu Local Government Area of the state. Okorocha, who addressed reporters on Wednesday at the Government House in Owerri, assured residents that the government was working hard to ensure the security of lives and property. The Commissioner of Police in the state, Mr Chris Ezike, had On September 3, confirmed the kidnap and subsequent killing of the priest to Channels TV. Ezike said the remains of the clergyman was discovered on Saturday last week in a bush, following a manhunt. He said Onunmwo’s car was discovered intact, with nothing removed from it while his body did not bear any gunshot or stab wounds. Reacting to the killing, family and friends of the deceased had called on the state government and security operatives to ensure that perpetrators of the dastardly act were quickly apprehended and brought to justice. Members of the Orlu Catholic Diocese, where the priest was ordained, described him as a good man loved by all. At his country home in Umuotuasi village in Osina Ideato North Local Government Area of Imo State, some family members could not hold back their tears after receiving the sad news.